Media Mail is a cost-effective way to send media materials through the U.S. Postal Service. 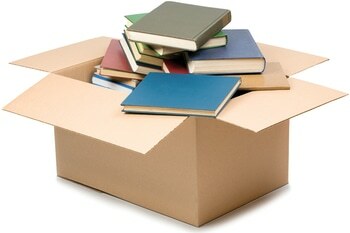 You can send books, videotapes, DVDs, CDs, printed music and other sound recordings through Media Mail as long as they weigh less than 70 pounds. Although you won’t pay as much to send these items via Media Mail, they can take longer to get to their destination. USPS estimates that your item will arrive in 2 to 10 days. The savings with Media Mail can add up. If you're a Stamps.com customer sending a 1-pound package, it will cost $6.95 and up with Priority Mail (using the Stamps.com discount) and only $2.75 with Media Mail. Using Media Mail in this situation will save you around 53 percent in postage costs. The drawback of Media Mail is that USPS has a right to open and inspect your package to check for abuse of the system. Therefore, you shouldn’t mail advertisements (except for a book announcement with a book) or other non-media material through Media Mail because you will risk having your package sent back to you for insufficient postage. Even including a birthday card in the package can cause your parcel to be sent back because the card isn't an approved form of media by the U.S. Postal Service. Media Mail is based on weight and size, not the zone-based distance system that First Class Package Service, Priority Mail and Priority Mail Express use. Once you’ve addressed and sealed your item, you should weigh it then print your postage using the Media Mail option in your Stamps.com account. Stamps.com will calculate and display the expected delivery time of your package. USPS will allow you to add additional services for Media Mail parcels. USPS Tracking is included for free and you can purchase insurance, COD, USPS Tracking and Signature Confirmation for your item through the Stamps.com software. Organize Your Media Mail with Cost Codes: Keeping track of your Media Mail packages is simple if you use Stamps.com’s Cost Codes feature, which allows you to put items that you ship into different categories. This works particularly well for mass mailings, and allows you to keep track of your business expenses more easily. Hidden Postage: If you don’t want your customers to know how much you spent to mail them a book or movie, you can use Stamps.com’s hidden postage feature which blocks the postage cost from appearing on the shipping label. Just choose this option before printing your postage. Keep in mind that you must mail your package on the day that you print hidden postage, or else you’ll have to print new postage and request a refund from Stamps.com. Easily Print Media Mail Shipping Labels: Stamps.com customers can easily print Media Mail shipping labels for their packages. 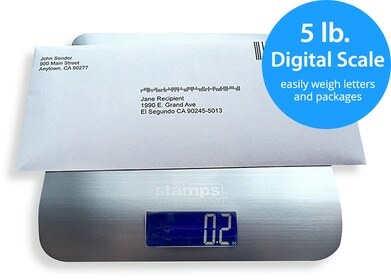 Use the Stamps.com USB scale to weigh your package and never worry about overpaying or underpaying the shipping fee.